1) Benaroya Business Park at Van Doren’s West – 22830, 22718 & 22430 Russell Road in Kent, WA. 3 buildings totaling +/-692,000 SF. 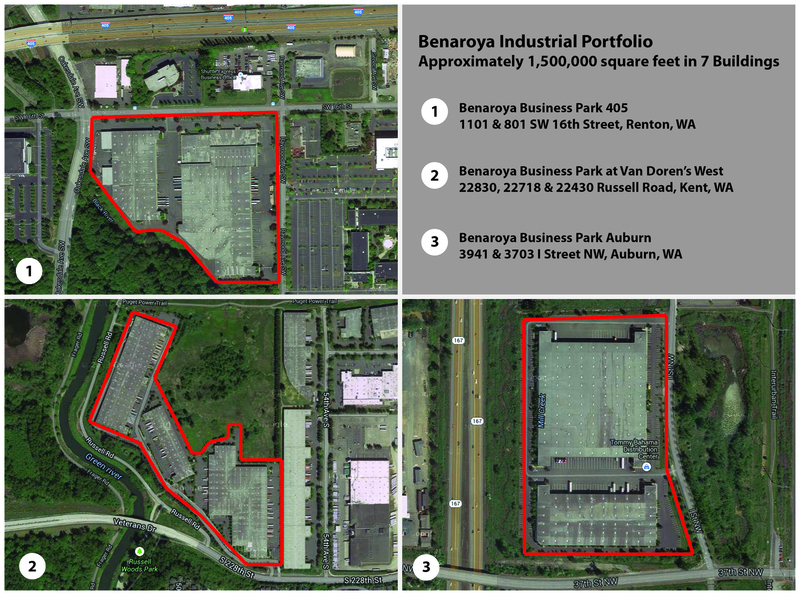 2) Benaroya Business Park 405 – 1101 & 801 SW 16th Street in Renton, WA. 2 buildings totaling +/-386,000 SF. 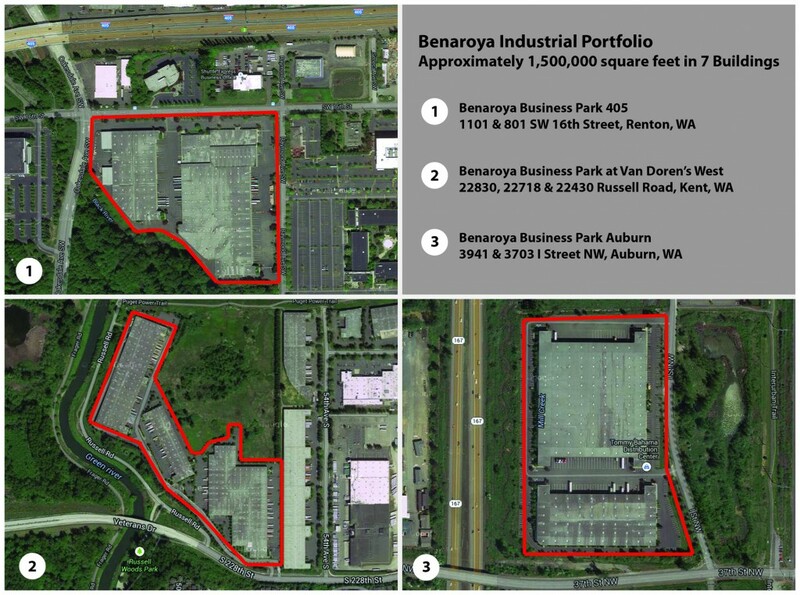 3) Benaroya Business Park Auburn – 3941 & 3703 I Street NW in Auburn, WA. 2 buildings totaling +/-437,000 SF.